Wine and seafood. It's my idea of heaven. 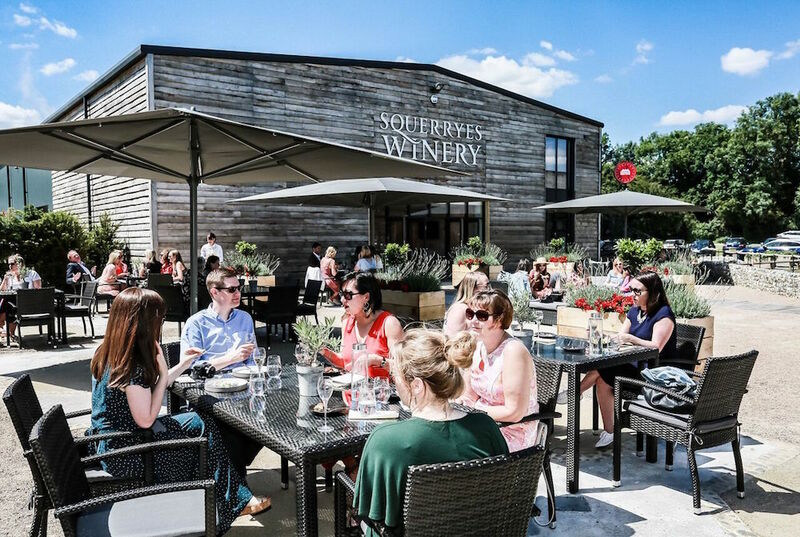 And Squerryes Winery in Westerham, near Oxted, has both on a sun-fulled terrace. 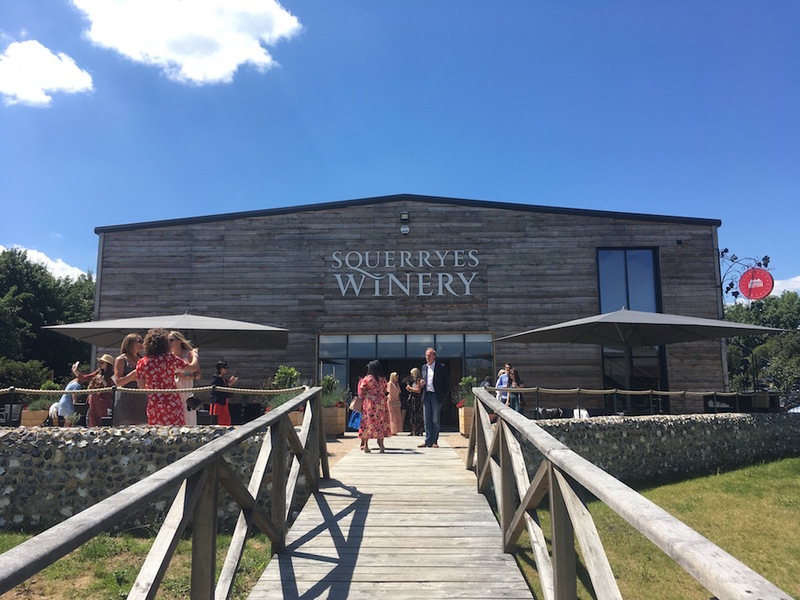 Set in Westham – on the Surrey-Kent border, in its own stunning 2,500-acre estate, Squerryes Winery is the perfect place for wine-enthusiasts – or those, like me, who know nothing about wine but love the taste – to delight in all kinds of grape experiences. 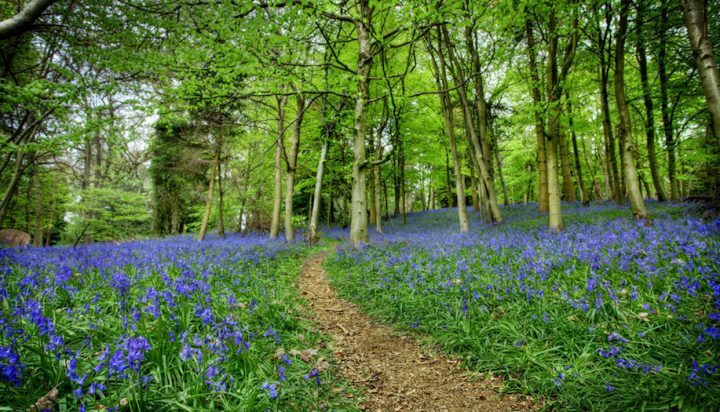 Located at the foot of the North Downs and the gateway to the Garden of England, it’s easily accessible from Surrey, Kent, Sussex and London too. 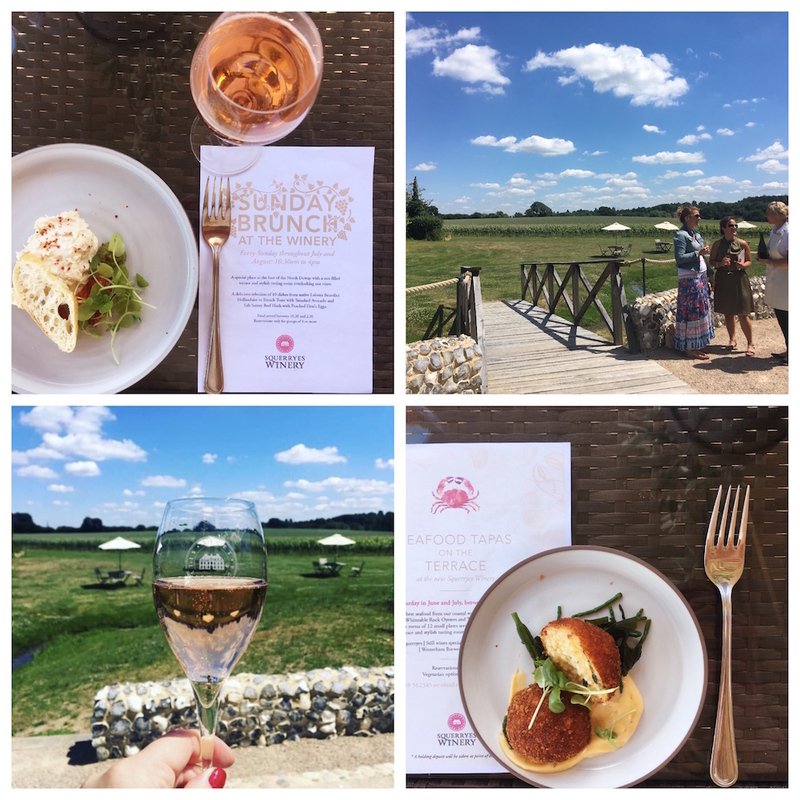 Travel down from London to Oxted station (a mere 40 mins by train then 5 mins taxi) or Sevenoaks station (30mins by train and 10 mins by taxi) and treat yourself to the full Squerryes experience by which we mean sampling a bit of everything because a) you’re not driving and b) Squerryes Sparkling Wine tastes soooo good you’re going to want to try it all! 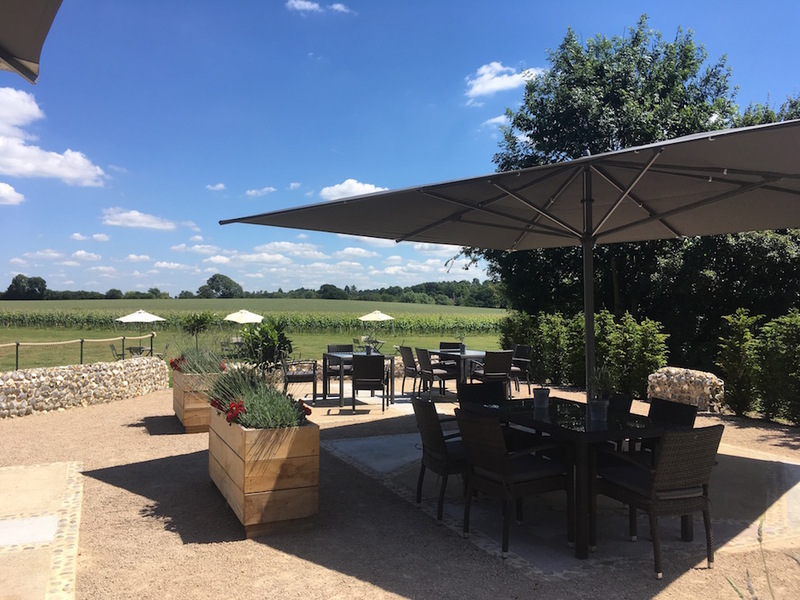 The super stylish terrace has been built to take advantage of those breathtaking vineyard views and incorporate a dining experience. 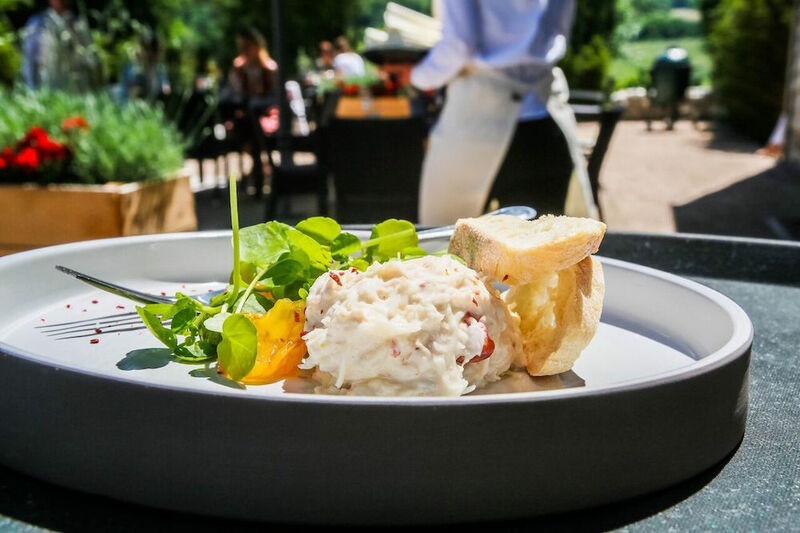 Add in the delectable Seafood Tapas and Sunday Brunch menus, mix in some sunshine… and you’re transported to somewhere that could easily pass for South of France. Think continental cool mixed with English elegance. I hot-footed it down there last week to celebrate the official launch of this stunning outside space. 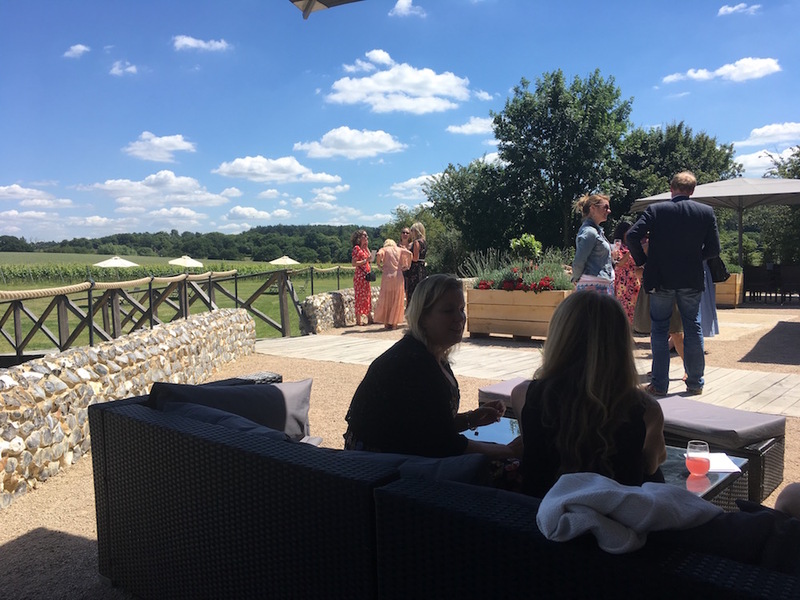 The Seafood Tapas on the Terrace Saturday sessions are massively popular and booking in advance is recommended but – good news – Muddy has just learnt that they are extending the new dining experience throughout August as well. The menu features the finest seafood from British coastal waters with a headline dish of fresh Cornish lobster. The emphasis is very much on seafood, rather than meats, which is just how I like it. The dishes are sophisticated, light, yet substantial and way, way better than a plate piled high with little whitebaits. Instead I enjoyed seared tuna loin with Kentish heirloom tomato salad (above) and Portland crab mayonnaise, tomato & watercress (below). And they tasted every bit as gorgeous as they look. 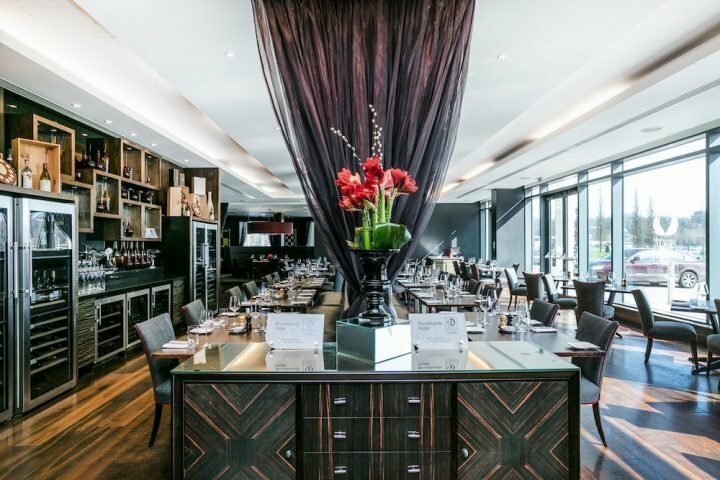 Ten smaller plates make up the carefully curated menu including Whitstable rock oysters and Dorset salmon Caesar salad. 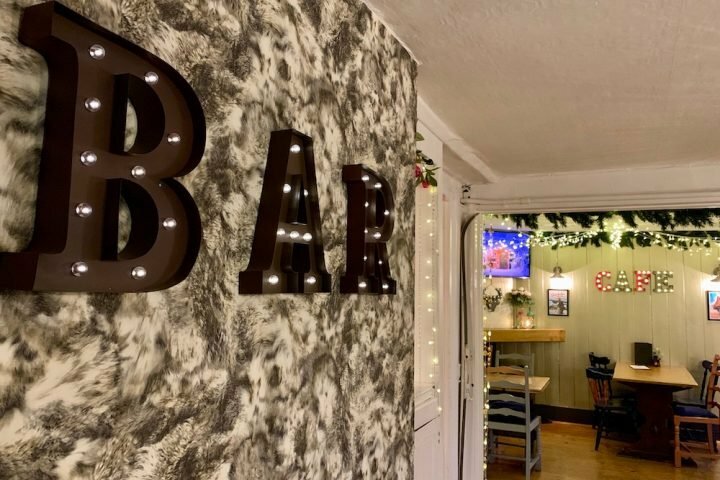 Sparkling Squerryes, delicious still wines and Westerham Brewery beers are also on offer, as are vegetarian dishes and mouth-watering desserts. Sunday Brunch at the Winery, every Sunday throughout July & August between 10.30am to 4pm. Did you know that bits of Kentish soil – is it pretentious if I say terroir? Go on, humour me – is similar to the Champagne region, especially now we actually have a decent summer. The same chalk seam runs from Northern France under the Channel to the south of England. And Henry Warde created the relatively new vineyard after a Champagne house visited the estate in 2004 to try and buy some of the land after a survey revealed the soil had qualities similar to the esteemed “Cote des Blancs” region of Champagne. After politely declining their offer, Henry set about planting his own vines on the land and now produces vintage sparkling wine, both Brut and Rose, produced solely from their own grapes. Good for: Couples without kiddies or parents enjoying some child-free time. Girlie weekend lunches or for taking the mother-in-law. 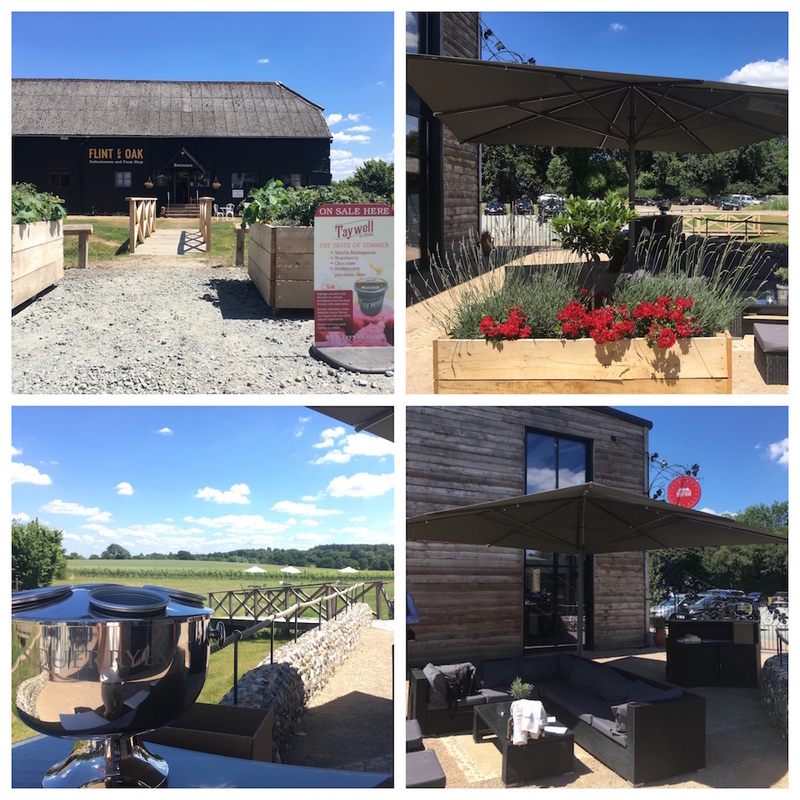 It’s a beautiful place where people can relax and unwind and enjoy the English countryside at its best, get away from the 9 to 5 and spoil themselves for a bit. Not for: Cold weather – goes without saying that this is all about dining al fresco so check the weather forecast before you book ahead. Probably not for family dining or toddlers – well, only you know your kids – but I wouldn’t waste Whitstable oysters and lobster arancini on mine! It’s definitely a grown up space and dining experience. The damage: Tapas plates are excellent value for the quality of this top nosh. Cost £6-£8, for dishes such as grilled Whitstable oysters wrapped in pancetta with Cumbrian nduja dressing, £6.50. 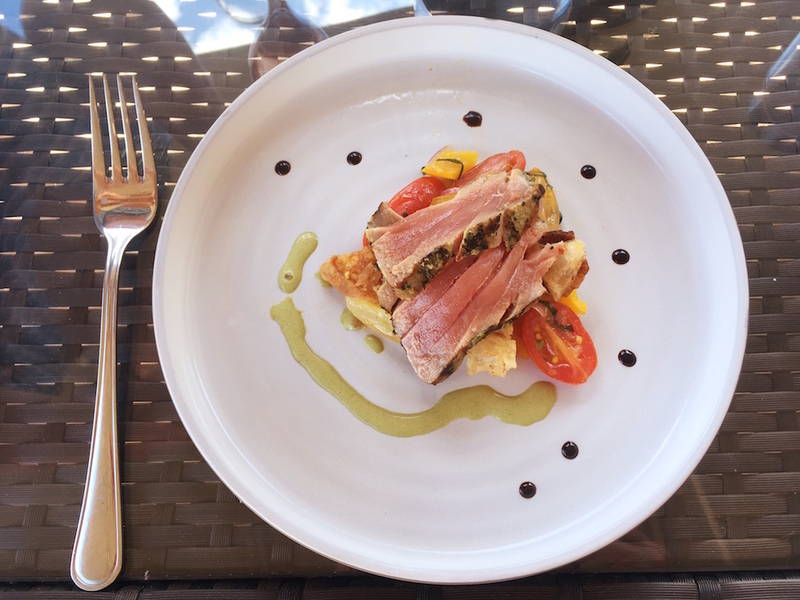 Or seared tuna loin with Kentish heirloom tomato salad, £7. If you’re feeling flash, go for the headline dish of fresh grilled half native lobster with warm samphire, Groombridge asparagus and Jersey royal potatoes, £21 (still a decent price).